Many thanks to BMWCCA, both the national organization and the local Allegheny Chapter for hosting an incredible O’Fest during the 2018 Grand Prix this past July. There were Bimmers everywhere during the week and over 750 at Schenley Park. The BMW Club throws a great weekend party at Schenley Park. Their pavilion is set on German Hill overlooking the exciting turn 13 on the track. A wonderful lunch is served by Post Office Catering – meals must be pre-registered and are not available for walk-ups. The BMW Club has reserved a room block for their participants at the nearby Doubletree Hotel in Greentree for $139 per night July 18 through 21. Book On-Line Here. 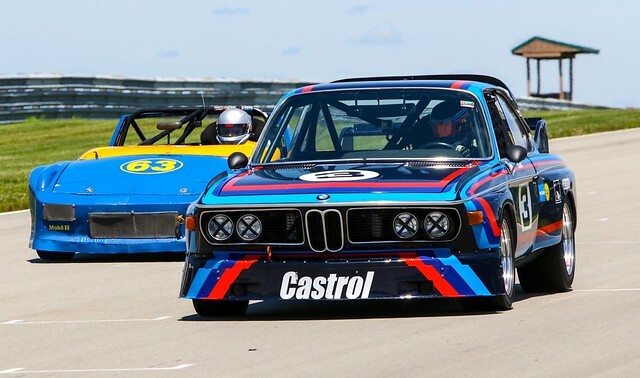 There will be a dedicated BMWCCA run group at Pittsburgh International Race Complex. Tickets are available for $20/day or $30/weekend and you can purchase as you enter. The Club’s mission is to promote the interest in, the ownership of, and preservation of classic BMWs, as well as to encourage their use and visibility. They do this mainly through the organization of and the participation in specific events, and the publication of a quarterly magazine THE ULTIMATE CLASSIC. They are in contact with other BMW clubs in order to keep members abreast of events and happenings in the US as well as abroad. A strong emphasis is being place on social contacts between members. The Club also maintains a register of members and their cars. Honorary Race Director and BMW racer Bill Auberlen takes his BMW Z4 GTLM around the track on an exhibition lap at Schenley Park in 2018.